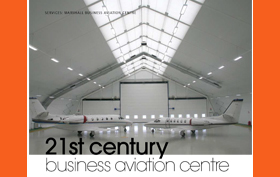 Approaching 80 years in aircraft engineering, Marshall Aerospace has long been one of Europe’s leading privately owned aerospace companies. 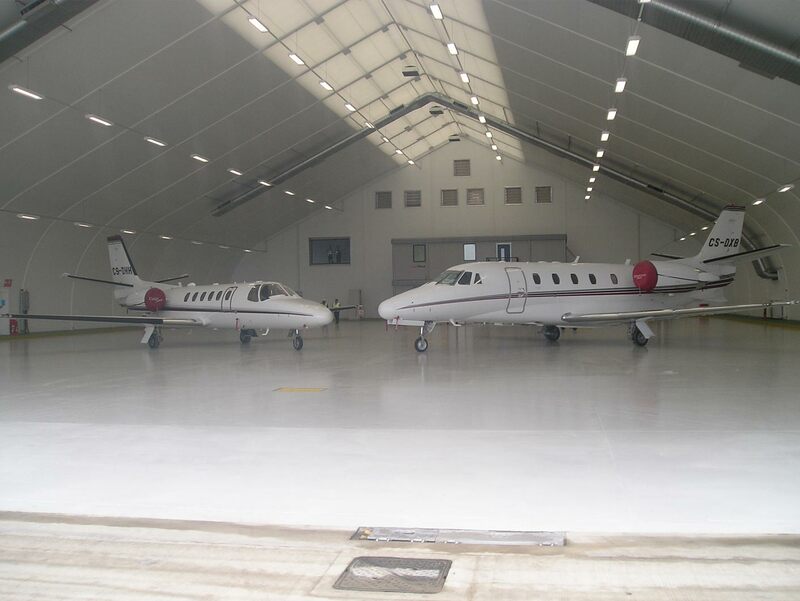 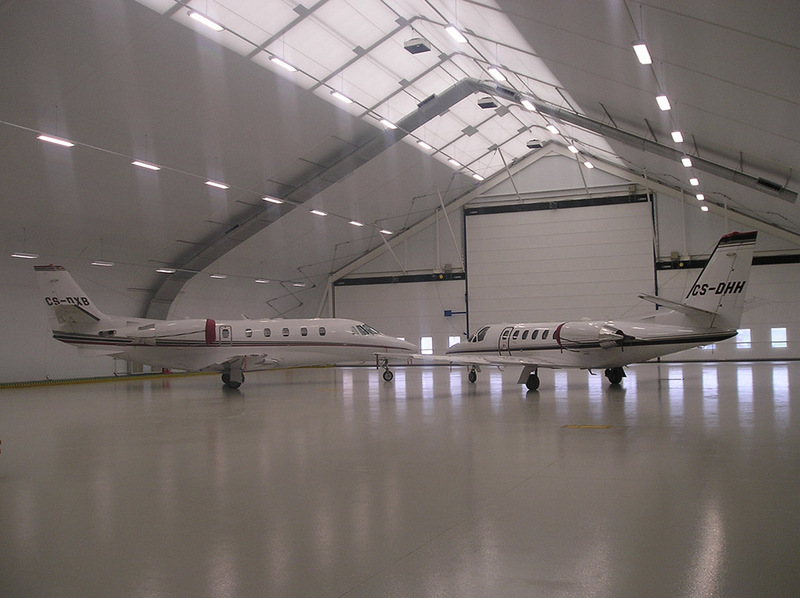 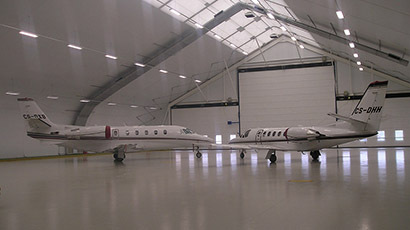 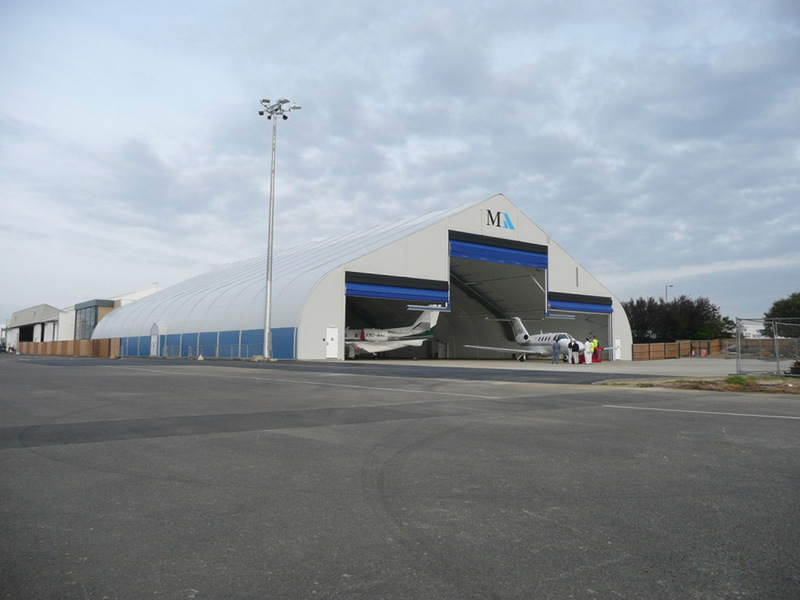 Marshall Aerospace required additional aircraft hanger space, but was committed to reducing capital expenditures and lowering operating costs. 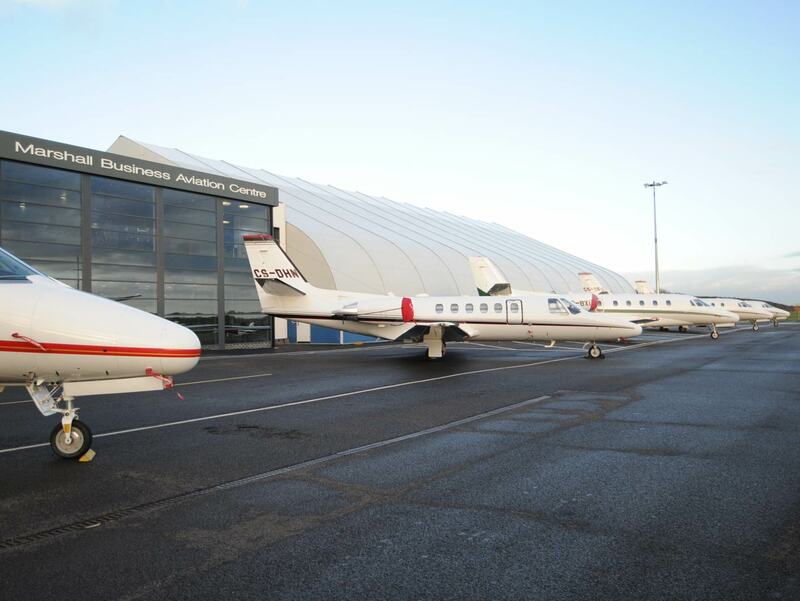 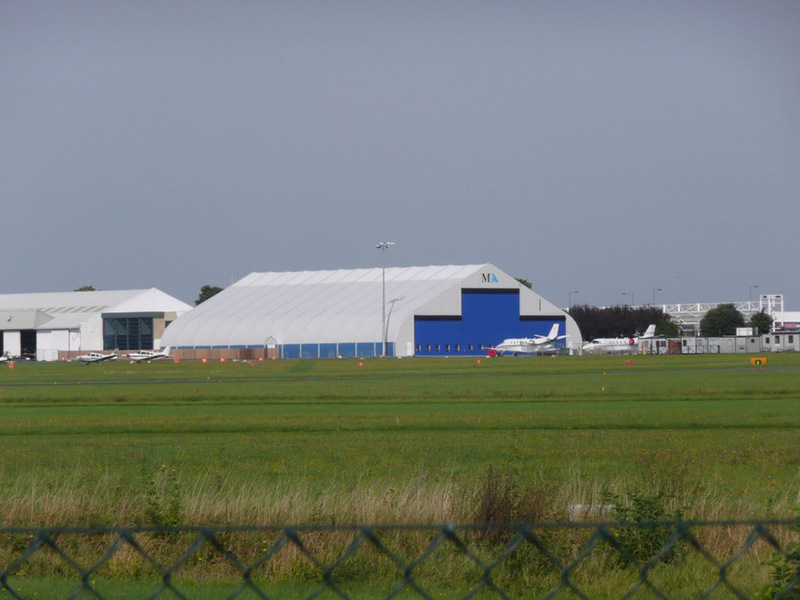 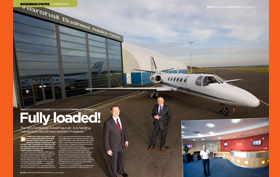 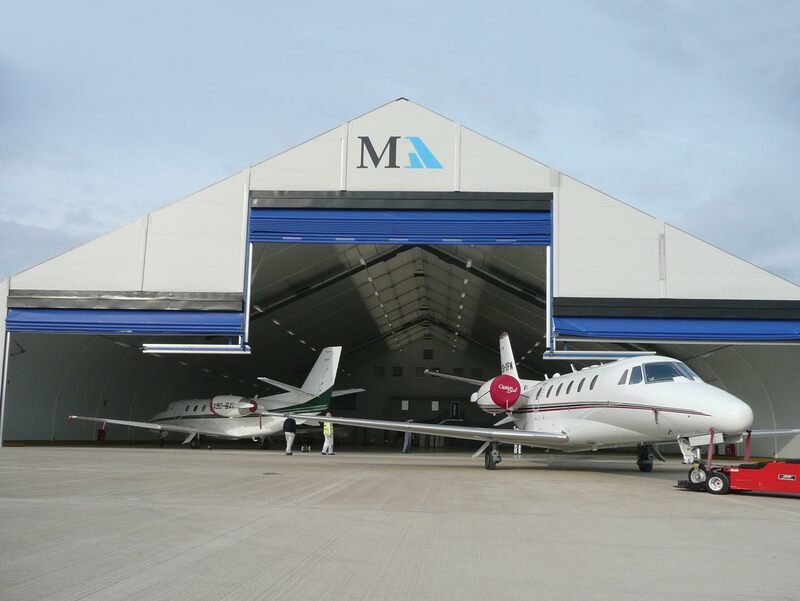 Rather than build a conventional aircraft hanger, Marshall Aerospace decided that it needed a design that could be rapidly built, modular in design, energy-efficient and more operationally flexible so that it could be reconfigured in the future. 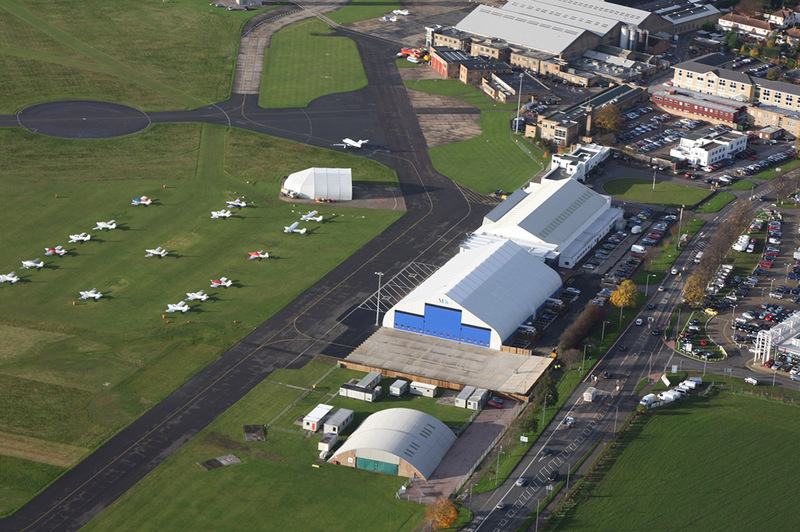 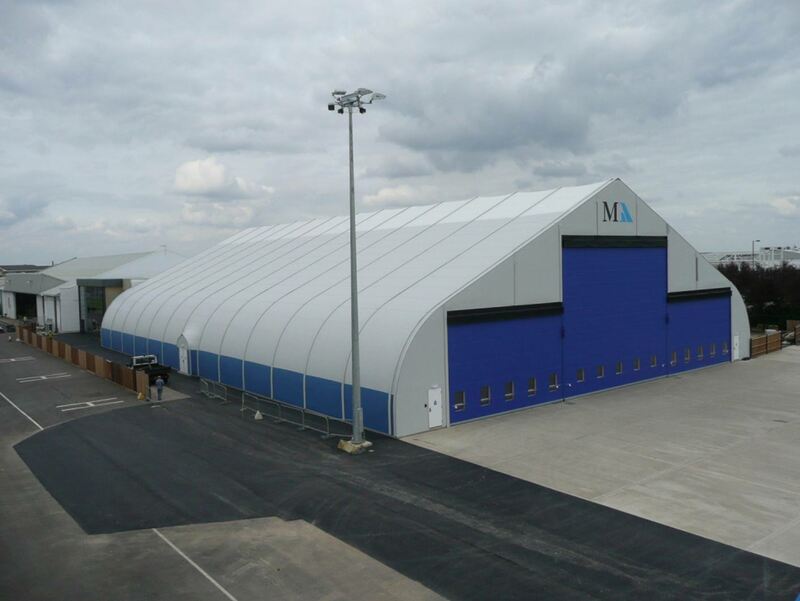 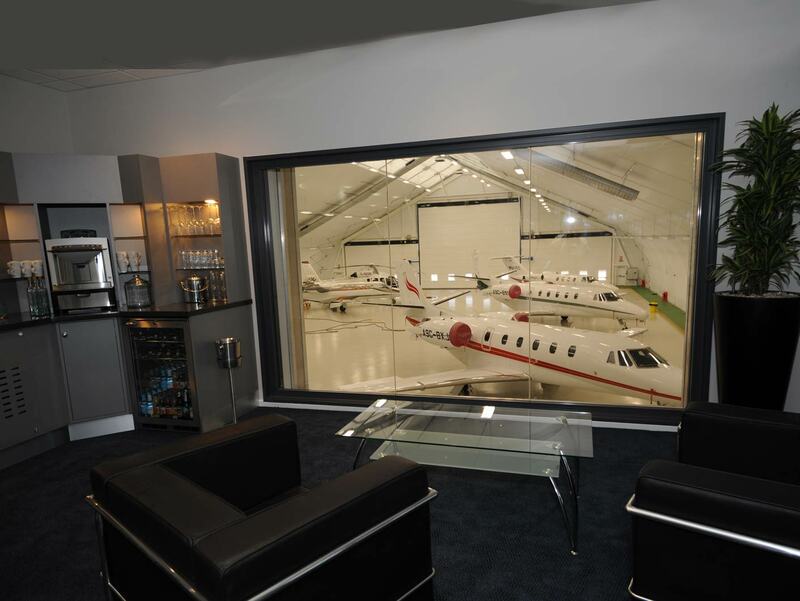 After carefully considering a number of building alternatives, Marshall Aerospace selected Sprung structures to supply a 130′ wide x 200′ long insulated structure complete with Dupont Tedlar Granite Grey and Regal Blue architectural membrane and a state-of-the-art Megadoor system.